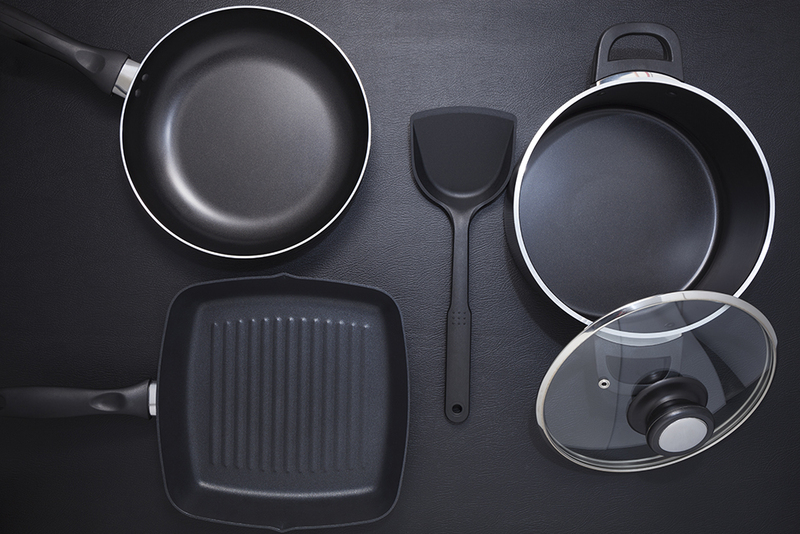 Alpine Aluminium is a European leader thanks to its recognised expertise among the main producers of aluminium cookware. Because aluminium conducts heat well, it is perfect for ensuring uniform cooking. Specially designed for the application of anti-stick coatings (polytetrafluorethylene : PTFE) as well as surface treatments (enamel, lacquers, anodising, etc. ), our products offer our clients infinite possibilities in terms of shape and colour. These elements, combined with efficient logistics, make it possible to meet the needs of major retail markets via JIT manufacturing. Alpine Aluminium also offers products coated with lacquers specifically made for the culinary market. Annealed alloy 3004 is combined with high-temperature lacquers, enabling the specific needs of this market to be met. Our products are certified as compliant with standards in force regarding food contact.